A Micro-Switch Controlled Electromagnetic Lock For Escape Rooms! This listing is for a very simple, fully assembled micro-switch controlled electromagnet set. This is an escape room specific prop. 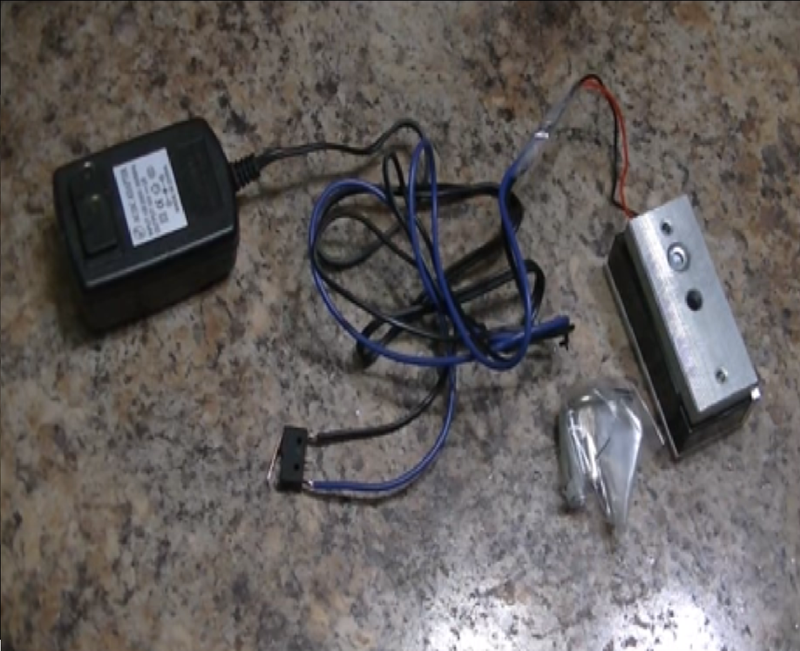 It features a small, but strong electromagnet lock with bracket and mounting hardware, a 12v 2A AC-DC wall adaptor, and a micro-switch; all of which are connected via wire extensions. When the switch is pressed, power is removed from the electromagnetic lock. This can be used in puzzle drawer props. We can also customize this set for you for an additional fee. If you'd like more than one micro-switch wired in series, so that several microswitches need to be pressed in order for power to be removed from the magnetic lock, we can do this. Just send us a message through our contact page. This set can be used in drawer puzzles, bookshelf puzzles, etc. If you have any questions at all, please do not hesitate to contact us. A video on the mounting of the electromagnet can be found below. We have key-based electromagnetic lock switches too! Alternately, we have key-based magnetic solenoid sets. Just have a look through our store.